Have you been driving around Holmen in your Hummer looking for good auto mechanics to give your baby some excellent auto repair service? Our auto repair technicians invite you into Cordell’s Automotive for everything from tires to maintenance for your Hummer. Although the Hummer is no longer manufactured, it still has loyal fans all over the country. The auto repair technicians at Cordell’s Automotive see Hummers on the roads of Holmen--and beyond. We know that Hummers drive differently than other vehicles--you can really feel the engine, and it’s probably not going to win any races. It’s a powerful vehicle, and even a big, powerful vehicle needs some love every once in a while. 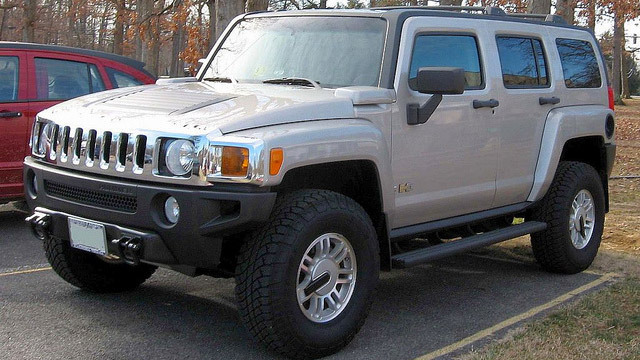 Why bring your Hummer into Cordell’s Automotive for service? Lots of reasons. Our 3-year/36,000-mile warranty is there for your peace of mind. If you’re at Cordell’s Automotive for a quick service, we have a cozy waiting room outfitted with a Keurig coffee maker. We offer six-month, no-interest financing so you can plan your payments for those larger jobs. We have free loaners or local pickup and delivery for your convenience. We always want to exceed our customers’ expectations. Our knowledgeable, friendly auto repair technicians will impress you! We’d love to work on your Hummer humming. Schedule an appointment today. Cordell’s Automotive is located at 300 South Holmen Drive, Holmen, WI, 54636. Our hours are 7:00 AM - 5:30 PM, Monday - Friday. We also service the communities of La Crosse, Onalaska, and Trempealeau.